Shishir K Shandilya, Soon Ae Chun, Smita Shandilya & Edgar Weippl (eds.) 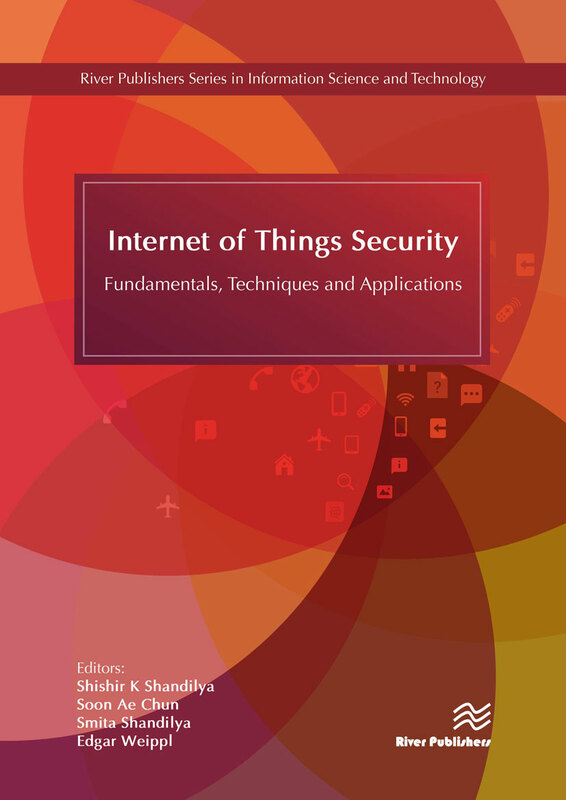 (2018) Internet of Things (IoT) Security: Fundamentals, Techniques and Applications, Information Science and Technology Series, River Publishers. Soon Ae Chun (Ed.) (2014) Special Issue on Open Government meets social data, Future Internet, Vol 6(2-3), 2014. Soon Ae Chun and Jaideep Vaidya (Eds.) (2012) Special Issue on Privacy in Health Informatics, International Journal of Computational Models and Algorithms in Medicine, Vol 3 Issue 2, 2012. Soon Ae Chun and Luis Luna-Reyes (Eds.) (2012) Special Issue on Social Media in Government: Selections from the 12th Annual International Conference on Digital Government Research (dg.o2011), Government Information Quarterly (GIQ) , Vol 29 Issue 4, October 2012: pp 441-511. Luis Luna-Reyes and Soon Ae Chun (Eds.) (2012) Special Issue on Open Government and Public Participation, Information Polity: Vol 17(2), August 2012: pp77-199. Soon Ae Chun, Luis Luna-Reyes and Rodrigo Sandoval (Eds.) (2012) Special Issue on Collaborative e-Government, Transforming Government: People, Process and Policy (TGPPP) , Vol 6 (1), Feb 2012: pp 5-125. Soon Ae Chun, Rodrigo Sandoval and Yigal Arens (Eds.) (2011) Special Issue on Public Engagement and Government Collaboration: Theories, Strategies and Case Studies, Information Polity: Vol 16(3), 2011: pp 189-296. Soon Ae Chun, Stuart Shulman, Rodrigo Sandoval and Eduard Hovy (Eds.) (2010) Special Issue on Government 2.0: Making Connections between Citizens, Data and Government, Information Polity: Vol. 15 (1 & 2), 2010: pp 1-173. Marijn Janssen, Soon Ae Chun and J. Ramon Gil-Garcia (Eds.) (2009) Special Issue on Building the Next Generation Digital Government Infrastructures, Government Information Quarterly (GIQ), Vol 26 Issue 2, April 2009: 199 pages. J. Ramon Gil-Garcia, Soon Ae Chun and Marijn Janssen (Eds. )(2009) Special Issue on Government Information Sharing and Integration, Information Polity: Volume 14, Editions 1 & 2, 2009: pp 1-150. Soon Ae Chun, Marijn Janssen and J. Ramon Gil-Garcia (Eds.) (2008) Proceedings of the 9th Annual International Conference on Digital Government Research, ACM International Conference Proceeding Series; Vol. 289, ISBN 978-1-60558-099-9, Digital Government Society of North America, May 2008. Paolo Cappellari, Mark Roantree, Soon Ae Chun (2018) Optimizing Data Stream Processing for Large Scale Applications, Journal of Software: Practice and Experience Vol 48 Issue 9: 1607-1641. Shwartz-Asher, D., S.A. Chun & N. R. Adam (2017) Knowledge Behavior Model Of E-Government Social Media Users, Special Issue of Social Media and Government, in the Journal Transforming Government: People, Process and Policy (TGPPP), Vol 11 Issue 3, ISSN: 1750-6166. Lorenzi, D., S. Chun, J. Vaidya, B. Shafiq, V. Atluri and N. Adam (2015) PEER: A Framework for Public Engagement in Emergency Response International Journal of E-Planning Research, Vol4(3): 29-46. Soon Ae Chun, Luis Luna-Reyes and Rodrigo Sandoval (2012) Collaborative E-Government, Transforming Government: People, Process and Policy (TGPPP) , Vol 6 (1), 5-12: Feb, 2012: pp 5-12 (Editorial, Pre-print PD F). Soon Ae Chun, Yoo Jung An, Sunju Park, James Geller and June-Suh Cho (2011) Flexible Payment Recommender System, Journal of Information Technology and Architecture, Vol 8 No 4, 2011: pp 299-316. Chun, S., J. Kwon and H. Lee (2011) Social Credential-based Role Recommendation and Patient Privacy Control in Medical Emergency, International Journal of Computational Models and Algorithms in Medicine Vol 2 No. 4, 2011: 1-22. Yoo Jung An, Kuo-chuan Huang, Soon Ae Chun and James Geller, (2010) A Formal Approach to Evaluating Medical Ontology Systems using Naturalness, International Journal of Computational Models and Algorithms in Medicine, Vol 1, 2010: pp 1-18. Chun, S., J. Vaidya, V. Atluri, B. Shafiq, N. Adam (2018) Citizen-to-Citizen Resource Sharing in Emergency Response, C. Nunes Silva (ed. ), New Approaches, Methods, and Tools in Urban E-Planning, IGI Global: 130-164. MacKellar, B., Schweikert, C., & Chun, S. A. (2018). Patient-Centered Clinical Trials Decision Support Using Linked Open Data. In I. Management Association (Ed. ), Information Retrieval and Management: Concepts, Methodologies, Tools, and Applications, Chapter 80:1765-1782, IGI Global. Cappellari, P., M. Roantree and S. Chun (2017) A Scalable Platform for Low-Latency Real-Time Analytics of Streaming Data, Francalanci, C. & Helfert, M.(Eds. ), Data Management Technologies and Applications (DATA2016 Revised & Selected Papers), Communications of Computer and Information Science: 1-24. [pdf pre-print] . Ji, X., S. Chun & J. Geller (2016) Knowledge-based Tweet Classification for Disease Sentiment Monitoring, Witold Pedrycz and Shyi-Ming Chen (eds.) Sentiment Analysis and Ontology Engineering : An Environment of Computational Intelligence, Spring Verlag: 425-454. Chun, S. and J. Geller. (2015) Developing a Pedagogical Cybersecurity Ontology, M. Helfert, A. Holzinger, O. Belo and C. Francalanci (eds. ), Data Management Technologies and Applications (DATA) in Communications in Computer and Information Science, 2015, Springer: 117-135. Chun, S. and F. Artigas, Participatory Environmental Planning Platform, Carlos Nunez Silva (ed.) Emerging Issues, Challenges and Opportunities in Urban E-Planning, Chapter 3, 2015 IGI Global: 46-68. Chun, Soon Ae, Joon Hee Kwon and Haesung Lee. "Social Credential-Based Role Recommendation and Patient Privacy Control in Medical Emergency." Methods, Models, and Computation for Medical Informatics. IGI Global, 2013. 215-237. Chapter 13. Janice Warner and Soon Ae Chun, Social Tagging to Search and Recommend Government Information, Christopher G. Reddick (ed. ), Citizens and E-Government: Evaluating Policy and Management , (2010) IGI Global: 283-296. (TOC). Soon Ae Chun and Vijay Atluri, Geospatial Database Security, Sushil Jajodia and Michael Gertz (eds. ), Handbook of Database Security: Applications and Trends," Springer, 2008: pp 247-266. Nabil R. Adam, Vandana Janeja, Aabhas V. Paliwal, Vijay Atluri, Soon Ae Chun, Jim Cooper, John Paczkowski,Christof Bornhovd and Joachim Schaper, Semantics-based Threat Structure Mining for Homeland Security, Integrated Series in Information Systems , Vol. 17: Digital Government, Hsinchun Chen, Lawrence Brandt, Valerie Gregg, Roland Traunmuller, Sharon Dawes, Eduard Hovy, Ann Macintosh, and Catherine A. Larson. (eds.) E-Government Research, Case Studies and Implementations , Springer, 2008: pp 307-329. Soon Ae Chun and Vijay Atluri, Geosaptial Security Models, Shashi Shekhar, and Hui Xiong (eds. ), Encyclopedia of Geographical Information Science, Springer, January 2008: pp1028 - 1036. 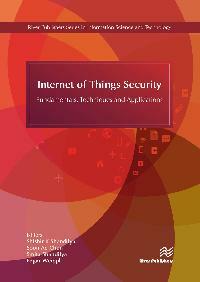 N. Adam, A. Paliwal, V. Atluri, S. Chun, J. Cooper, J. Paczkowski, C. Bornhoevd, I. Nassi, J. Schaper, J. Ellenberger, Government Agency Interoperation in Security Applications, Chapter 14, H. Chen, R. Santanam, R. Ramesh, A. Vinz, and D. Zeng (eds.) Handbooks in Information Systems, Vol. 2: National Security , Chapter 14, Elsevier, 2007: pp 329-353. Soon Ae Chun, Vijay Atluri, and Nabil R. Adam, "Regulatory Ontology-based Interagency Information and Service Customization ", In Ari-Veikko Anttiroiko and Matti Malkia (eds.) The Encyclopedia of Digital Government, Volume III, I-Z, Idea Group Reference, 2006: pp1406-1412. V. Atluri, S. Chun, R. Holowczak and N. Adam, Automating the Delivery of Governmental Business Services Through Workflow Technology, in Advances in Digital Government:Technology, Human Factors, and Policy (ed s) William J. McIvre and Ahmed K. Elmagarmid, Kluwer Academic Publishers, 2002, pp 69-84. Nitesh Sharma, Rachit Pabreja, Ussama Yaqub, Vijay Atluri, Soon Ae Chun and Jaideep Vaidya, Web-based Application for the Sentiment Analysis of Live Tweets, Proceedings of The 19th Int. Conference on Digital Government Research (dg.o 2018): 120:1-120:2, Delft, the Netherlands. Eunmi Lee, Dongwook Kim, Hyewon Lim and Soon Ae Chun, Long Tail Phenomenon in Public Policy: Analyzing Big Data on Citizen Opinion in Smart City, Proceedings of The 19th Int. Conference on Digital Government Research (dg.o 2018): 79:1-79:6, Delft, the Netherlands. Ussama Yaqub, Nitesh Sharma, Rachit Pabreja, Soon Ae Chun, Vijay Atluri and Jaideep Vaidya, Analysis and Visualization of Subjectivity and Polarity of Twitter Location Data, Proceedings of The 19th Int. Conference on Digital Government Research (dg.o 2018), Delft, the Netherlands. Nhathai Phan, Soon Ae Chun, Manasi Bhole & James Geller, Enabling Real-Time Drug Abuse Detection in Tweet, Proceedings of ICDE, Workshop on Health Data Management and Mining (HDMM) , San Diego, April 30, 2017: 1510-1514. Paolo Cappellari, Soon Ae Chun, and Dennis Shpits, 2016. Discovering and Analyzing Alternative Treatments Hypothesis via Social Health Data 16th International Conference on Web Engineering (ICWE 2016 Demo Track), June 6-9, 2016, Lugano Switzerland. Sheetal Rajgure, Vincent Oria, Krithika Raghavan, Hardik Dasadia, Sai Shashank Devannagari, Reza Curtmola, James Geller, Edina Renfro-Michel and Soon Chun, (2016) UCS: Ultimate Course Search (Demo), 14th International Workshop on Content-based Multimedia Indexing (CBMI 2016), Bucharest, Romania. Ghosh, D., S. Chun, B. Shafiq and N. Adam (2016) Big Data-based Smart City Platform: Real-Time Crime Analysis, Proceedings of the 17th Annual International Conference on Digital Government Research (dg.o), 58-66. Shwartz-Asher, D., S. Chun & N. R. Adam (2016) Social Media User Behavior Analysis in E-Government Context, Proceedings of the 17th Annual International Conference on Digital Government Research (dg.o), 39-48. Hagen, L., W. Sung, S. Chun (2016) Cyber Security in Governments around the World: Initiatives and Challenges. Proceedings of the 17th Annual International Conference on Digital Government Research (dg.o), 548-549. Chun, S., J. Geller, A. Taunk, K. Sankaran and T. Swaminathan (2016) SLOB: Ontology-based Linking of CyberSecurity Learning Objects, The Fourteenth Annual Consortium for Computing Sciences in Colleges Mid-South Conference (CCSC-MS) Rhodes College in Memphis, TN. April 1-2, 2016. Ji, X., and S. Chun, James Geller & Vincent Oria (2015) Collaborative and Trajectory Prediction Models of Medical Conditions by Mining Patients' Social Data, IEEE Int. Conference on BioInformatics and BioMedicine (BIBM): 695-700. [PDF] (acceptance rate 19%). Ji, X., P. Cappellari, S. Chun and J. Geller (2015) Leveraging Social Data for Health Care Behavior Analytics, Proceedings of the 15th International Conference on Web Engineering (ICWE 2015), June 23-26, 2015: 667-670. Xiang Ji, Soon Ae Chun and James Geller (2014) A collaborative filtering approach to assess individual condition risk based on patients' social network data Proceedings of ACM-BCB2014, pp.639-640, Sep 20-23, 2014. Geller, J., S. Chun and A. Wali (2014) A Hybrid Approach to Developing a Cyber Security Ontology, Proceedings of the 3rd International Conference on Data management Technologies and Applications (DATA 2014), Aug 29-31, 2014: 377-384. Jong-Uk Choi, Soon Ae Chun & Joo Won Cho (2014) Smart SecureGov: mobile government security framework, dg.o '14 Proceedings of the 15th Annual International Conference on Digital Government Research, Aguascalientes City, Mexico, June 18-21, 2014:91-99. David Lorenzi, Jaideep Vaidya, Basit Shafiq, Soon Ae Chun, Neelima Vegesna, Zamil Alzamil, Nabil Adam, Seth Wainer and Vijay Atluri, (2014) Utilizing Social Media to Improve Local Government Responsiveness, Proceedings of the 15th International Conference on Digital Government Research, June 24-26, 2014, Mexico: 236-244. Soon Ae Chun, James Geller and Arwa Wali (2014) Developing Cyber Security Ontology and Linked Data of Security Knowledge Network, The 27th International Conference of the Florida Artificial Intelligence Research Society (Flairs-27)-Poster Abstract, Pansicola Beach, FL: May 21-24. Tina Tian and Soon Ae Chun (2013) Social Network-based Entity Extraction for People Ontology, Proceedings of The Third International Conference on Advances in Information Mining and Management (IMMM 2013), November 17 - 22, 2013 - Lisbon, Portugal. Xiang Ji, Soon Ae Chun and James Geller (2013) Monitoring Public Health Concerns Using Twitter Sentiment Classifications Proceedings of the 2013 IEEE International Conference on Healthcare Informatics (ICHI) , Sep 9-11, 2013: Philadelphia, PA: 335-344. Bonnie MacKellar, Christina Schweikert, Soon Ae Chun (2013) Patient-Oriented Clinical Trials Search through Semantic Integration of Linked Open Data, 12th IEEE International Conference on Cognitive Informatics & Cognitive Computing, NY NY, July 16-18, 2013: 218-225. Soon Ae Chun and F. Artigas (2013) Tide Gate Sensor Network as a Forensic Tool: Establishing Facts during Superstorm Sandy, Proceedings of The 14th International Conference of Digital Government Research, Quebec City, Canada, June 17-20, 2013: 277-278. Lorenzi, D., J. Vaidya, S. Chun, B. Shafiq, V. Naik, V. Atluri and N. Adam (2013) Community Based Emergency Response, Proceedings of The 14th International Conference of Digital Government Research, Quebec City, Canada, June 17-20, 2013: pp 82-91. (Nominated for the Best Research Paper Award ). Artigas, F. and S. Chun, Visual Analytics for Open Government Data, Proceedings of The 14th International Conference of Digital Government Research, Quebec City, Canada, June 17-20, 2013: 298-299. Basit Shafiq, Soon Ae Chun, Jaideep Vaidya, Nazia Badar and Nabil Adam, Secure Composition of Cascaded Web Services, in Proceedings of the 8th IEEE International Conference on Collaborative Computing: Networking, Applications and Worksharing (CollaborateCom '12), Pittsburgh, Pennsylvania, United States, October 14-17, 2012: 137-146. Soon Ae Chun & Bonnie MacKellar Social health data integration using semantic Web, SAC '12 Proceedings of the 27th Annual ACM Symposium on Applied Computing, 2012 pp 392-397. Tian, T, J. Geller and S. Chun, "Enhancing the Interface for Ontology-Supported Homonym Search," Advanced Information Systems Engineering Workshops (CAiSE 2011) London, UK June 2011, Lecture Notes in Business Information Processing (LNBIP) 83, pp 544-553 Springer Verlag, Berlin (acceptance rate 29%). June-Suh Cho, Soon Ae Chun, Towards transparent policy decision making process: a case study for Seoul metropolitan government dg.o '11 Proceedings of the 12th Annual International Digital Government Research Conference: Digital Government Innovation in Challenging Times, 2011: 219-224. V. Atluri, B. Shafiq, J. Vaidya, S. Chun, M. Trocchia, N. Adam, C. Doyle and L. Skelly, Information Sharing Infrastructure for Pharmaceutical Supply Chain Management in Emergency Response, Proceedings of the 2010 IEEE International Conference on Technologies for Homeland Security, 8-10 November 2010, Waltham, MA: 42 - 48. V. Atluri, S. Chun, J. Ellenberger, B. Shafiq and J. Vaidya, Integrated Resource and Logistics Management through Secure Information Sharing for Effective Emergency Response, Workshop on Emergency Management: Incident, Resource and Supply Chain Management (EMWS09), November 5-6, 2009, DHS-S&T, Irvine, CA. F. Artigas, S. Chun and Y. Sookhu, Real-time Ocean Surge Warning System, Meadowlands District of New Jersey, Proceedings of the 10th International Conference on Digital Government Research (dg.o 2009), Puebla, Mexico, May 2009: pp 216-222. Basit Shafiq, Jaideep Vaidya, Vijay Atluri and Nabil Adam, Soon Ae Chun and Aron Lieb, Ontology Driven Resource Management for Emergency Response, Workshop on Secure Knowledge Management (SKM 2008), Richardson, TX, Nov 3-4, 2008. Nabil R. Adam, Vijay Atluri, Soon Ae Chun, John Ellenberger, Basit Shafiq, Jaideep Vaidya and Hui Xiong, Secure Information Sharing and Analysis for Effective Emergency Management, Proceedings of the 9th International Conference on Digital Government Research ( dg.o 2008), Montreal, Canada, 2008: 407-408. Soon Ae Chun and James Geller, Evaluating Ontologies based on the Naturalness of their Preferred Terms Proceedings of the Forty-First Hawai'i International Conference on System Sciences (HICSS-41), 238, Waikoloa, Big Island, Hawaii, 2008. Yoo Jung An, James Geller, Yi-Ta Wu and Soon Ae Chun, Automatic Generation of Ontology from the Deep Web, A. M. Tjoa and R. R. Wagner (eds.) Proceedings of the Eighteenth International Wokshop on Database and Expert System Applications, Regensburg Germany, 2007: pp 470-474. Jeffrey M. Stanton, Hamid Nemati, Soon Ae Chun, Jengchung V. Chen, Privacy in the YouTube Era: Evolving Concepts in the Protection of Personal Information, Proceedings of Americas Conference on Information Systems 2007 (AMCIS2007), Paper 347, Keystone, Colorado, August 9-12, 2007. Soon Ae Chun, Nabil R. Adam and Vijay Atluri, MENVIS: Mobile Environmental Information System, Proceedings of the 8th Annual International Conference on Digital Government Research (dg.o 2007), Philadelphia, PA, May 20-23, 2007, pp 286-287. Nabil R. Adam, Vijay Atluri, Soon Ae Chun, Francisco Artigas, Irfan Bora, Bob Ceberio, Constituent-centric municipal government coalition portal dg.o '06 Proceedings of the 2006 international conference on Digital government research, 2006. Soon Ae Chun, Nabil R. Adam, and Francisco Artigas, Mobile Web for Environmental Information Guide: Case for New Jersey Meadowlands Commission, Proceedings of the 2005 KMIS International Conference on Information Systems for a Ubiquitous Society, KMIS 2005 Nov 24-26, Jeju Island, S. Korea, pp 236-239. N. Adam, V. Atluri, S. Chun, A. Gomaa, A. Paliwal, J. Vaidya, M. Youssef, A. Suenbuel, C. Bornhoevd, S. Raiyani, T. Lin, J. Cooper and J. Paczkowski, Semantic-based Incident Management System, Proceedings of Inaugural conference on Working Together: Research & Development Partnerships in Homeland Security, Department of Homeland Security Science & Technology, Boston, MA, April 27-28, 2005 (electronic version). Sunju Park, Soon Ae Chun and June-Suh Cho, An Infrastructure for Customizable and Divisible Card Payments for Online Purchases, ECommerce Track, in Proceedings of the 35th Annual Meeting of the Decision Sciences Institute (DSI 2004), Boston, MA, November 20-23, 2004, pp 5091-5096. Vijayalakshmi Atluri and Soon Ae Chun, Handling Dynamic Changes in Decentralized Workflow Execution Environments, in Vladimir Marik, Werner Retschitzegger, Olga Stepankova (Eds. ): Database and Expert Systems Applications, 14th International Conference, (DEXA 2003), Prague, Czech Republic, September 1-5, 2003, Proceedings. Lecture Notes in Computer Science 2736 Springer 2003, ISBN 3-540-40806-1, pp 813-825. Soon Ae Chun, Vijayalakshmi Atluri and Nabil R. Adam, Domain Knowledge-based Automatic Workflow Generation, Proceedings of the 13th International Conference on Database and Expert Systems Applications (DEXA 2002 ), Lecture Notes in Computer Science 2453 , September 2-6, 2002, Aix en Proven ce, France: pp 81-92. N. Adam, V. Atluri, F. Artigas, S. Chun and P. Mazzoleni, Customized Visualization of GeoSpatial Government Regulations, in Proceedings of the Third National Conference on Digital Government (dg.o 2002), May 19-22, 2002 LA, CA, pp 457-460. Soon Ae Chun, JoonHee Kwon and Haesung Lee, " Situation Role-based Privacy Control Using Dynamic Credentials for Emergency Health Services," ACM SIGHIT Record , Vol 2 Issue 1, March 2012: p 5. (Presented at IHI 2012 as a poster). Marijn Janssen, Soon Ae Chun and George Kuk, Introduction to the 2009 E-Government Infrastructure and Interoperability Minitrack, HICSS 2009. A. Suenbuel, J. Suh, A. Broad, B. Mo, C. Bornhoevd, J. Schaper, J. Ellenberger, M. Kaiser, M. Horton, N. Adams, S. Raiyani, T. Lin, T. Odenwald, & S. Chun, Enterprise Architectures for Container Security, Inaugural conference on Working Together: Research & Development Partnerships in Homeland Security, Department of Homeland Security Science & Technology, Boston, MA, April 27, 2005. Bornhoevd, C., Ellenberger, J., Lin, T., Raiyani, S., Suenbuel, A., Adam, N., Atluri, V., Chun, S., Gomaa, A., Paliwal, A., Vaidya, J., Critical Infrastructure Protection: Infrastructure for Food Supply Safety Inaugural conference on Working Together: Research & Development Partnerships in Homeland Security, Department of Homeland Security Science & Technology, Boston, MA, April 27, 2005. Nabil R. Adam, Vijay Atluri and Soon Ae Chun, GIS and Mobility Support for New Jersey Watershed Volunteer Monitoring Network, Coastal GeoTools '05, March, 2005. Myrtle Beach, SC, pp 37-38. (Abstract in the proceedings). Vijayalakshmi Atluri and Soon Ae Chun, GeoSpatial Authorization System for Satellite Image Database, CIMIC Technical Report 2004-JuL-01, Rutgers University, July 2004. Vijayalakshmi Atluri, Soon Ae Chun, and Mukesh Sethi, An Authorization System for Spatiotemporal Image Data, CIMIC Technical Report 2004-JUN-02, Rutgers University, June 2004. Vijayalakshmi Atluri and Soon Ae Chun, An Authorization Model for Geospatial Data, CIMIC Technical Report 2004-JUN-01, Rutgers University, June 2004. Soon Ae Chun and Vijayalakshmi Atluri, Dynamic Changes in Decentralizaed Workflow Execution Environments, CIMIC Technical Report 2003-JAN-01, Rutgers University, January 2003. Chiara Ghirardini, Soon Ae Chun & Vijay Atluri, CIMIC Satellite Image Database: Multi-dimensional Indexing for Efficient Retrieval, CIMIC Technical Report 2001-APR-01, Rutgers University, April, 2001. Vijay Atluri, Soon Ae Chun, & Pietro Mazzoleni, A Chinese Wall Secuity Model for Decentralized Workflow Systems, CIMIC Technical Report 2-2001, Rutgers University, February, 2001. Vijay Atluri & Soon Ae Chun, Decentralized Workflow Management: Do we need to worry about the Chinese Walls?, CIMIC Technical Report 2000-NOV-01, Rutgers University, November, 2000. Soon Ae Chun, Decentralized Management of Dynamic and Customized Workflows, Phd Dissertation Proposal, CIMIC Technical Report 12-2000, Rutgers University, Fall 2000. [pdf, ps] . Intelligent Smart City Platform Design Policy Models and Risks, Workshop of SIG-eGov at ICIS 2018 San Francisco, Dec 14, 2018. Public Policy Opportunities and Risks, Public Policy Research Conference: Emerging Issues on Public Vlaues, E-government, Nonprofit World, and Entrepreneurial Society, John Jay College CUNY, Oct 5, 2018. Smart Cities Economic Inclusion Model: Drivers for Business Growth and Social Determinants, COMPASS Conference 2018: Diversity, Inclusion & Beyond, Baltimore, Sep 25, 2018. Developing Workforce Capabilities in the age of Industry 4.0, Jeonju University, S. Korea, Aug 3, 2018. Health Insights using Social Health Records (SHR), Seminar, John Jay College, CUNY, May 7, 2018. IUCRC CARTA Rutgers site projects (with J. Vaidya), CARTA Strategy Meeting, Apri 30 2018, UMBC. Smart City Design Models and Approaches: 2017 Jeju Int. Conference on Brain Korea-Plus Program: Rethinking the Role of Government in Relation to Civil Society, Dec 16, 2017. Public Health Intelligence Platform from Social Health Records, DaSH 2018: Symposium on Data Science for Healthcare , Oct 19, 2017, Dunbury, CT. Dynamic Risk Analytics For task assignments and resource access, CHMPR Technical and Industry Advisory Board (IAB) 2017 Semi-Annual Meeting , NSF (Center For Hybrid Multicore Productivity Research), June 1, 2017, Rutgers Newark, NJ. Analytics Platform for Social Health Records (SHR) - panel presented at Women in Data Science at Rutgers Newark ( WiDS 2017 - Rutgers Newark), Feb 3, 2017. Panelist, Digital Government (with Mollie Ruskin from US Digital Services, Lauren Anderson from formerly FBI), NJIT Murray Center Conference: Women Designing the Future: Digital Realities, Today and Tomorrow. , April 1, 2016, NJIT. Social Health Data Analytics, Big Data Analytics Seminar, CUNY Graduate Center, Apr 15, 2015.
iSecure: Integrating Learning Resources for Information Security Research and Education - "Micro-Open Education Resource Knowledge Network for Learning Cyber Security" , Sixth Annual Rutgers Online and Hybrid Learning Conference, NJIT, Jan 14, 2015. Keynote address, Class 2018 Freshmen Convocation, Sep 4, 2014, CUNY/CSI. Developing Cyber Security Ontology and Linked Data of Security Knowledge Network, The 27th International Conference of the Florida Artificial Intelligence Research Society (Flairs-27), Pensacola Beach, FL: May 21, 2014.
iSecure: Cyber Scurity Ontology 2nd Annual Symposium -- Cybersecurity Education: A Pipeline Approach, Fairleigh Dickinson University, NJ, Apr 30, 2013 (Part of iSecure - Integrating Learning Resources for Information Security Research and Education presentaton). Tide Gate Sensor Network as a Forensic Tool: Establishing Facts during Superstorm Sandy, The 14th International Conference on Digital Government Research, Quebec City, Canada, June 18, 2013. Visual Analytics for Open Governement Data, Tutorial, the 14th International Conference on Digital Government Research (dg.o 2013), Quebec City, Canada, June 17, 2013. A Sensor-based Tide Gate Monitoring System for Flood Warnings and Forensics, CSI Superstorm Sandy Forum, Poster presentation, Mar 8, 2013. Enhancing the Famous People Ontology by Mining a Social Network, The 2nd International Workshop on Semantic Search over the Web (SSW 2012), Istanbul, Turkey, August 27, 2012. Social Media in Government, W3C eGovernment Interest Group, Teleconference meeting, Aug 24, 2012. Situation Role-based Privacy Control Using Dynamic Credentials for Emergency Health Services, Poster presentation, 2012 ACM SIGHIT International Health Informatics Symposium (IHI 2012), Miami Beach, FL,Jan 28, 2012. Information Sharing among Incident Management Systems using UICDS, the 11th International conference on Digital Government Research (dg.o 2010), Puebla, Mexico, May 18, 2010. Semantic Annotation and Search for Deep Web Services, IEEE Joint Conference on E-Commerce Technology (CEC '08) and Enterprise Computing, E-Commerce and E-Services (EEE'08), Crystal City, Washington D.C., July 23, 2008. Evaluating Ontologies based on the Naturalness of their Preferred Terms, Forty-First Hawai'i International Conference on System Sciences (HICSS-41), Jan 7, 2008, Waikoloa, Big Island, Hawaii. Security and Privacy Models for Sharing Geospatial Information, UKC 2007, Washington D.C, August 11, 2007. Semantic Deep Web: Automatic Attribute Extraction from Deep Web Data Sources, ACM-SAC 2007, Seoul, Korea, March 15, 2007. Personal Web Service Access Control and Authorization Flow Model for the Ubiquitous Computing Environment, Information Technology (IT) Symposium, The 2006 Annual U.S - Korea Conference (UKC 2006), Aug 11, 2006, Teaneck, NJ. Monitoring and Updating Regulations and Policies for Government Services, Electronic Government: the 4th International Conference, (EGOV 2005), Copenhagen, Denmark, August 2005. Geospatial Tool for Managing the Ecological Risk of the Contaminated Wetlands Sediments, Coastal GeoTools '05 March 9, 2005, Myrtle Beach, SC. Demo presentation for Water Quality Monitoring Education Web site, Volunteer Monitoring Summit, Oct 2, 2004, Edison, New Jersey. E-Government Projects at CIMIC, Presented at workshop on Securing Critical Infrastructure and Resources Protection, June 24, 2004, CIMIC, Rutgers Univeristy. Compositional Knowledge Management for Medical Services on Semantic Web, the Thirteenth International World Wide Web Conference (WWW 2004), Poster Presentation, May 19, 2004, New York, NY. Policy-based Web Service Composition, the 14th International Workshop on Research Issues on Data Engineering (RIDE 2004): Web Services for E-Commerce and E-Government Applications (RIDE-WS-ECEG'2004), March 29, 2004, Boston, MA. Handling Dynamic Changes in Decentralized Workflow Execution Environments, the 14th International Conference on Database and Expert Systems Applications (DEXA 2003), September 5, 2003, Prague, Czech Republic. Data Interoperation and Sharing among the NJ State agencies: System Demo, July 31, 2003, CIMIC, Rutgers Univeristy, presented to the Chief Information Officer, OIT, The NJ State. Spatially Integrated Coastal Permitting System (SICOP), Presented at the Coastal Zone Conference (CZ 03), Baltimore, Maryland, July 15, 2003. Ontology-based Workflow Change Management for Flexible eGovernment Service Delivery, in The Third National Conference on Digital Government (dg.o 2003), May 20, 2003, Boston, MA. Knowledge-based Dynamic Workflow Generation, September 2, DEXA 2002, Aix-en-Province, France. Dynamic Composition of Workflows for Customized Service Delivery, May 22, 2002, National Conference on Digital Government Research, LA. Decentralized Management of Dynamic and Customized Workflows, May 17, 2002, Department of Management, Marketing, Information Systems and Science, Fairleigh Dickinson University. E-Government Meeting: Knowledge-based Automatic Workflow Generation , April 13, 2002, Columbia University. E-Government Progress Report Year 2:Automatic Workflow Generation Model, Geospatial Workflows, Visualization of Government Regulations , March 14, 2002, CIMIC, Rutgers University. E-Government Prototype Demo: Decentralized Execution, October 5, 2001, E-goverment Monthly Meeting, Trenton, NJ. E-Government Progress Report Year1: Chinese Wall Security Model for Decentralized Workflow Management, August 31, 2001, CIMIC, Rutgers University. E-Government (invited talk), Electronic Commerce summer class, June 19, 2001. Demo for Human-centered E-government services, National conference on Digital Government research, Soon Ae Chun and Dr. Francisco Artigas, May 22, 2001. Demo for E-government Service Workflow System, Soon Ae Chun, National Science Foundation site visit, May 3, 3001. Pre-conference Workshop: E-Government Initiative, ASPA's 62nd Natio nal Conference, Newark, NJ, March 10, 2001. E-government Prototype Development: with Pietro Mazzoleni, Dr. Vijay Atluri, OIT & Dept of Taxation, February 22, 2001. Yuki Hirose & Soon Ae Chun, Attachment Ambiguity in Head Final Languages in Japanese Korean Linguistics, Volume 7. Akatsuka, N. et al. (eds. ): CSLI, Cambridge Univeristy Press, 1998. Soon Ae Chun, Verbal Suffixes and Control Interpretation in Korean, The 4th Annual CUNY Sentence Processing Conference, presented at poster session, University of Rochester, NY, May 10 1991. Soon Ae Chun, Possessor Ascension for Multiple Case Sentences, paper presented at 1985 Harvard Workshop on Korean Linguistics, in (Proceedings of Harvard Studies in Korean Linguistics, July 1985. Soon Ae Chun, Possessor Ascension in Korean, M.A. project in Linguistics Department, SUNY at Buffalo, February 1985. Reprinted in Buffalo Working Papers in Linguistics: Relational Studies on Korean. 1986. Donna B. Gerdts, Soon Ae Chun & Cheong Youn, Unaccusatives and Clause Union in Korean: The Downstairs Thaw, presented at Symposium on Grammatical Relations, State University of New York at Buffalo, April, 1984. D. Gerdts, S. Chun, S. Choi and C. Youn, A constraint on ci-Passives in Korean, paper presented at the Annual Meeting of the Niagara Linguistic Society, Buffalo, New York, 1983.